Finding a cheap flight does not involve magic or luck. It is an issue of searching in the right places for the best prices. 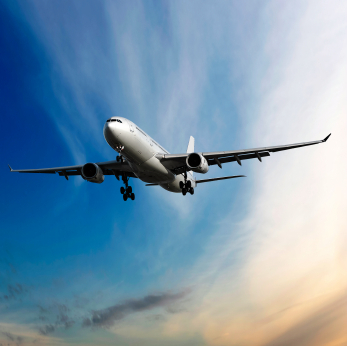 To get the lowest price you need to compare flights, do some careful planning and diligence. It is important to leverage every option to find the cheapest flights so you can enjoy an affordable vacation. Forget paying astronomical flight costs by keeping your trip costs within these 7 great tips on how to secure cheap air flights. 1. Buy early. During periods of peak travel, booking your flight late may cost you some additional money. Nowadays, air tickets normally rise in the last 3-2 weeks prior to flying, so try to do your searching ahead of time. However, when you want to travel internationally you should book even earlier (from 2-6 months advance) for an excellent deal. 2. Shop around. Despite how good the deal appears, you should never book the first flight fare you come across immediately. Begin your search by looking into some of the main online travel sources for low cost flights as many of them easily allow you to compare prices for airline tickets. It will provide you with preliminary idea of airlines which offers your particular itinerary, rates and the restrictions therein. If you do not see your preferred price range, just take your time and look for a fair fare that you will be willing and able to pay. 3. Acquire an air pass. Many nations give air passes at cheap prices for tourists to endorse inter-country travel and tourism. These passes will actually give you a particular flight preordained numbers within the country to go with you round-trip airfare. 4. Be flexible. Check out the flight fares for every airport near the destination you want to travel to, as well as your departing destination. Also, try to experiment with various travel dates, for example, changing your flight by a week, a few days, or even a month to see the significant change in prices. Lastly, keeping in mind that every traveling destination has its peak season and choosing to travel at other time of the year will save you some cash. 5. Buy late. Although booking ahead for high travel season saves you money, you can also go for tickets at the last minutes for a great price when the airlines have unsuccessful fill their planes. But it depends on if you’re willing to take this chance as prices may also double in price. Most airlines provide a weekly newsletter that show their best last minute deals. 6. Sign up for frequent flyers programs. Consider good deals by signing up for some of frequent flyer programs as well as other loyalty travel programs. Do some research to figure out which ones will benefit you most depending on where you fly and what flight carrier you use most commonly.